Stupak is really under attack from pro-aborts for his efforts to keep abortion out of Obamacare. Abortion advocates normally reserve their ammunition for attacks on pro-life Republicans and groups. 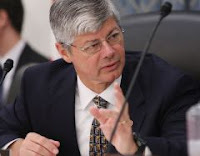 They rarely focus their sights on pro-life Democrats, but they're now going after Rep. Bart Stupak of Michigan because he is pressing for a vote to make sure the House health care bill doesn't fund abortions. Stupak is leading the battle in Congress on HR 3200 and against the Capps Amendment that pro-abortion lawmakers added to deceive the public into thinking abortions will not be funded. Because of his stalwart stance, NARAL has produced a new video attacking him that its president Nancy Keenan mailed to pro-abortion activists today.